An autobiography of a very human priest. Dale Fushek presents a candid, flesh and blood portrait of the sacred and the profane in his life as an ordained priest. The good, the bad, and the unbelievable are described with gratitude and commitment to a larger purpose. 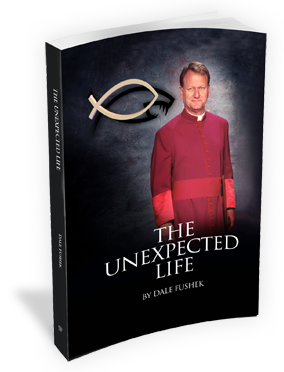 Unflinching yet always dignified, Dale Fushek gives his reaction to the events that sent his personal ministry into chaos, and changed the very fabric of his existence. Dale Fushek was interviewed recently by Pat McMahon, host of "The God Show" on KTAR radio FM 92.3. Listen to the full podcast (42 min) here or on KTAR.com. See the KTAR.com Podcast Center for this and other podcasts. Eleven - The Legal System Goes Bonkers! Joan: "Wonderful testament to the Power of the Holy Spirit moving within a community!" Anita: "What a wonderful book, Dale. Sometime life experiences are so difficult and trying but when you look back and see where you have been, what you have done and what you have given of yourself to others, God is good. We love you. May all the past pain be washed away on a sea of happiness." Sierra: "Fr. Dale i just got done reading your book it was good....going through life is hard sometimes and everyone gets through it and it can change you from the stuff u went through or whatever..... Well we all love ya fr.dale...."